SEATTLE -- Most of Aimee Robinson's customers are moms. And more of them are starting to ask questions about the contents of the couches and chairs she constructs. "I get moms crying on the phone," said Robinson, owner of the green furniture company EcoBalanza. "Their main concern is protecting their loved ones from exposure to toxic chemicals." EcoBalanza's six-person workforce prides itself on not using any formaldehyde or other synthetic materials commonly found in furniture. But these days, many of Robinson's customers have one particular chemical threat on the brain, flame retardants -- which is an additive EcoBalanza also avoids. They're not alone in their concern. The once-obscure issue has found its way on to HBO and the front pages of major newspapers. For the growing number of consumers worried about the potential health hazards of upholstered foam furniture treated with flame retardants, options like EcoBalanza abound. Yet the latest changes in flame retardant standards, ongoing pushback from the chemical industry and resulting flux in the marketplace are also posing challenges for people shopping for new furniture. "It's very confusing for a consumer to navigate," said Robinson. Most foam-filled furniture constructed over the last few decades contains flame retardants -- with the additives comprising, in some cases, more than 20 percent of a polyurethane foam cushion's weight. Flip over a couch cushion or desk chair, and the telltale tag is likely affixed: "This article meets the flammability requirements of California Bureau of Home Furnishings Technical Bulletin 117." The state requirements date to the 1970s and evolved into a de facto national standard. Experts have been warning for some time now that the flame retardants are not chemically bound to the foam and can easily escape into the air, attach to dust particles and find their way onto a child's hand and into a child's mouth. Potential health effects, they say, could include cancer, reproductive disorders and brain damage. Although developing children may be most vulnerable, others -- especially pregnant women -- could also be at risk: The chemicals are detectable in the blood of nearly all American adults. This January, California made a move that pleased many worried parents: It removed the state standard that required flame retardants in the filling of upholstered furniture. Couches and chairs sold today in California -- or anywhere in the U.S. -- no longer must be able to withstand an open flame, just a smoldering cigarette. Injecting chemicals into the foam offers no help in the latter scenario. 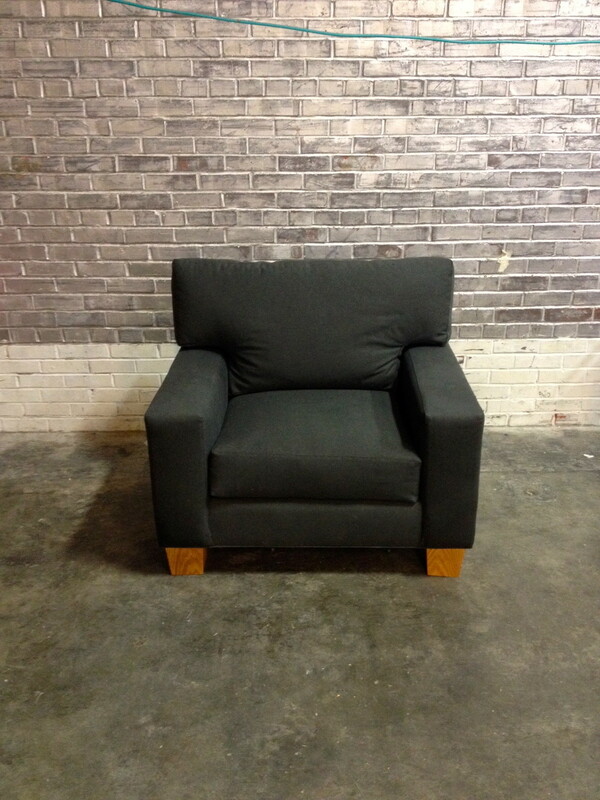 Typical upholstery is enough to earn the new "TB 117-2013" tag, indicating it might be free of flame retardant chemicals. But might is the operative word here. The new standard does not forbid flame retardants outright, and foam manufacturers need not change their recipes. While chances are good that a piece of furniture with the TB 117-2013 label is free of flame retardants, the label is no guarantee. Advocates across the country are pushing for bans on the chemicals. California state legislators are currently considering a bill that would require a tag to clearly indicate whether the furniture contains chemical flame retardants. For now, however, the burden is on the buyer. "Consumers need to look for the TB 117-2013 label, and also ask retailers if there are flame retardants added," advised Arlene Blum, a University of California, Berkeley, chemist and executive director of the nonprofit Green Science Policy Institute. Blum said she is hopeful that the foam industry will make the transition and noted that some companies are already on board with as much as 90 percent of their new foam being flame retardant-free. "I still caution my friends to wait a while," she added, noting that current stocks of furniture and foam still need to be sold off. Representatives from both the Polyurethane Foam Association and the American Home Furnishings Alliance told The Huffington Post that they, too, expect the revised regulation to result in large reductions in the share of furniture foam containing flame retardants. But they also suggested that it will take some time -- likely until next year -- before consumers will see substantial stocks of sofas with the new TB 117-2013 label in stores. That's also assuming a lawsuit filed by Chemtura, a leading flame retardant maker, doesn't succeed in reversing the updated regulation. The suit will be heard in Sacramento Superior Court on Aug. 29. "We are challenging the actions taken in California," said Marshall Moore, director of innovation and sustainability at Chemtura. "It is a weakening of the fire safety standard." Moore added that modern fire retardant chemicals used in newly manufactured furniture, such as his company's Firemaster products, have been "reviewed by the federal government and found to be safe for intended use." Most of the research to date was done on a class of flame retardants called polybrominated diphenyl ethers, or PBDEs, which have been phased out of furnishings and electronics over the past decade due to concerns that they are linked to hormone disruption and neurological deficits. But another common flame retardant, chlorinated Tris, as well as some newer replacements, such as Chemtura's Firemaster 550, have also now been associated in scientific studies with obesity and early puberty, among other potential health risks. An investigation by the Chicago Tribune in 2012 further revealed that some of those additives may offer no meaningful fire protection. So what are consumers to do if they want to avoid flame retardants? One option is to buy furniture from a manufacturer that already steers clear of the chemicals. While this is a reasonable choice for some, the relatively high price tags can deter others. EcoBalanza's Robinson recalls conversations with frustrated parents, to whom she wishes she could offer a more affordable option. Her average couch currently sells for about $4,500. It's constructed of eco-friendly materials, including sustainable wood, leather from "happy cows," certified organic latex foam and locally sourced wool -- which acts as a natural flame retardant. "Wool is not cheap. Period. Petrochemicals are cheap," Robinson said, noting that most mainstream furniture is constructed with polyurethane -- petroleum-based foam. "Petrochemicals are also fuel. They burn." People unsure of what chemicals are present in their furniture can start by sending a sample for analysis at Duke University, where researchers are conducting an ongoing study on the use of flame retardants. If the chemicals are present, a more affordable compromise could be to swap out a couch's foam cushions. 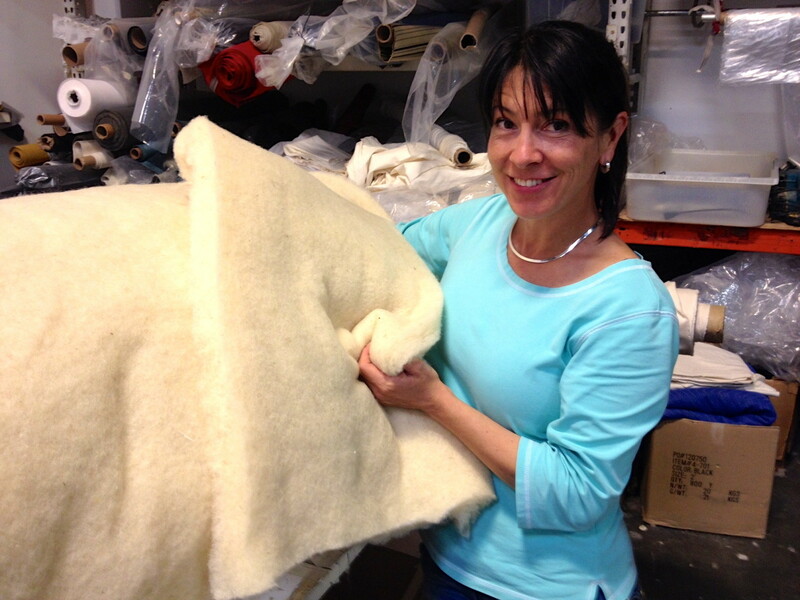 A few miles north of EcoBalanza in Seattle, the Friendly Foam Shop stocks an array of replacement innards for everything from old couches and upholstered chairs to children's mattresses. All the various sizes, shapes and densities of foam stacked up throughout the store are flame retardant-free. Chris Amante, co-owner of the Friendly Foam Shop, actually doesn't think the issue of flame retardants is a major motivator for her customers. Many people swap sofa foam, she said, simply because it's cheaper than buying a whole new piece of furniture. But concern over health risks was what drove James Redford to go the swapping route last month, as part of the Green Science Policy Institute's Safer Foam Exchange Program in California's Bay Area. Participating stores are continuing to donate 10 percent of proceeds to research on the safe disposal and recycling of fire retardant-treated foam. "It cost a couple hundred bucks. But for me, knowing what I know, it seemed worth the money to do it," said Redford, co-producer of an HBO documentary on flame retardants, "Toxic Hot Seat." Stephen Naylor, science and policy associate with the Green Science Policy Institute, said he hopes to expand the program beyond the Bay Area. Replacing couch cushion foam is already a common service, he noted, and if a shop is able to advertise flame retardant-free foam, then it may well have "an extra competitive edge." Kriss Kokoefer agrees. President of Kay Chesterfield, one of the participating foam swap shops, Kokoefer is convinced that health concerns are driving people to her store. "People are very excited," she said. "I get three phone calls a day, and 75 percent of those people get it done." What's more, Kokoefer said, replacing the foam -- or starting with a flame retardant-free piece of furniture -- means that when that couch or chair is eventually handed down to a child or sent off to Goodwill for the benefit of a low-income family, they, too, won't be exposed. And should the furniture ever get caught in a house fire, fewer air toxins will threaten firefighters, who have seen a rise in cancer cases that may be linked to synthetic chemicals. Chemtura's Moore, meanwhile, suggested that the swapping strategy "leads to fire safety being compromised." "Now [the furniture] doesn't comply to the old or new standard," Moore said. "To meet consumer demand, synthetic materials are needed. And without treatment with some sort of flame retardant technology, they would be highly flammable." Environmental advocates counter that approximately 80 percent of upholstery fabrics are expected to pass the new smolder standard. If a couch is covered in a flammable textile, Kokoefer said, her store will add a polyester barrier between the foam and fabric to ensure that the new TB 117-2013 standard is still met. EcoBalanza's go-to flame-resistant material is wool. It's Robinson's favorite fabric. She beamed as she bounded around the 2,200-square-foot south Seattle manufacturing space -- her small black mutt named Peanut underfoot -- pointing out the four different wools the company uses. "Come on, let's play with fire," Robinson said, grabbing a tuft of wool from assorted stacks lining a brick wall. She lit a match and held it to the wool. It simply singed.